Kyle Field Day is a free service event located inside the concourse of Kyle Field in which students, families and Bryan/College Station residents can participate in 50+ creative, interactive booths set up by various on and off campus organizations to benefit their respective causes. 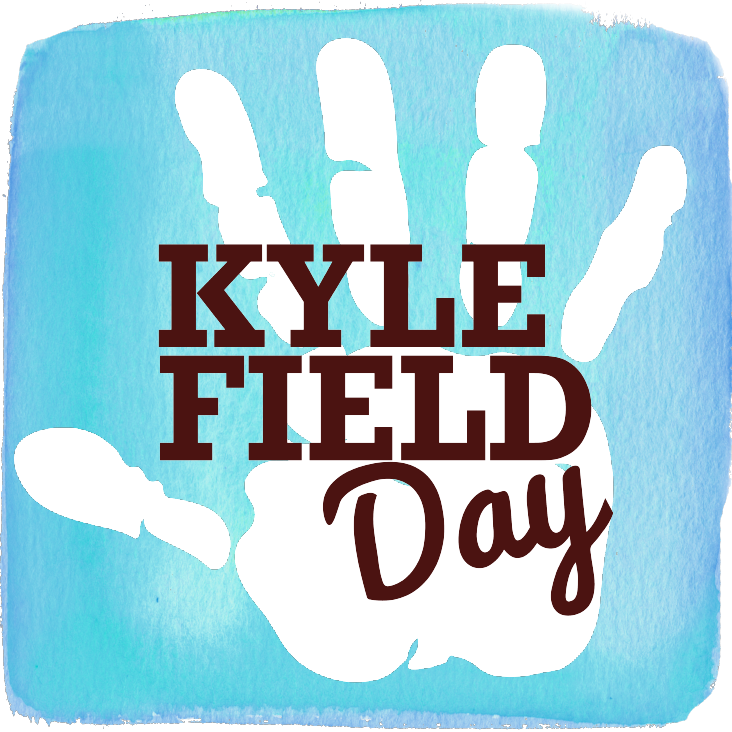 Kyle Field Day is hosted by Memorial Student Center Freshmen in Service and Hosting (MSC FISH), a freshmen leadership organization at Texas A&M University. 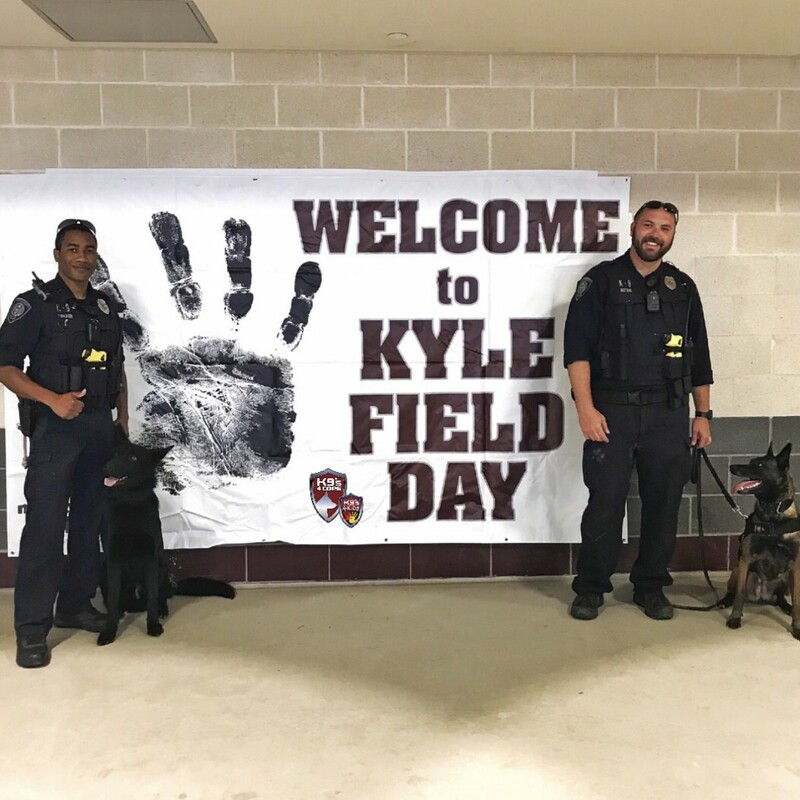 Our two K9s4KIDs K9s, K9 Tyson and K9 Jackie, at Texas A&M University were even able to stop by! 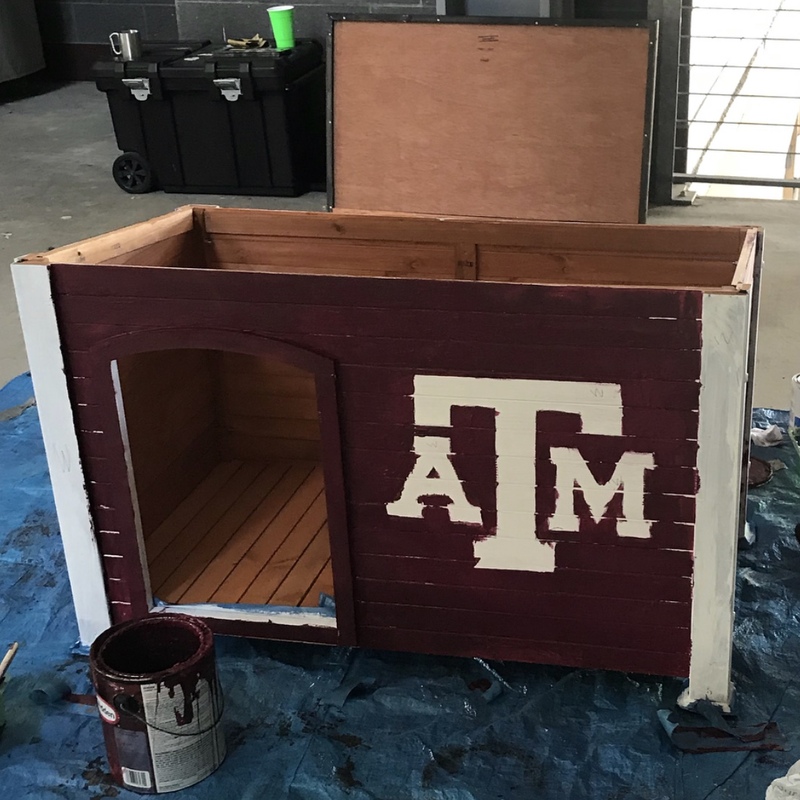 Our service project at Kyle Field Day was to paint a dog house and…. THUMB-thing special! U Paint-It! here in College Station was so generous to donate the ceramic dog bowls for us to “paint” at the event. 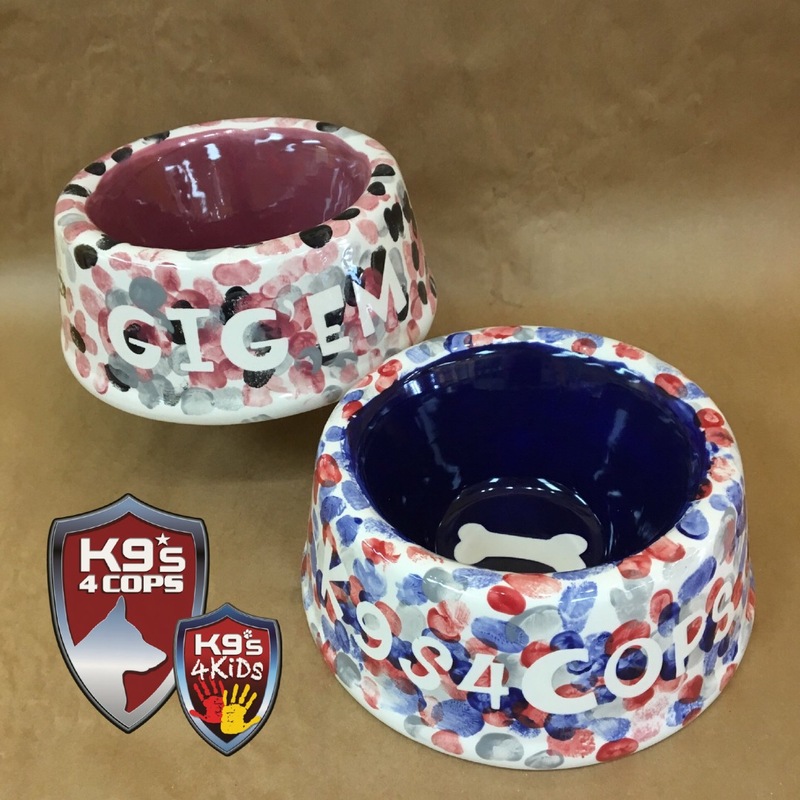 Every person that came by the K9s4COPs booth left their thumbprint on a dog bowl. We had over 1,000 people stop by! Want one of these awesome dog bowls or dog house for yourself?! Good news, they will be auctioned off at our gala on October 10th! Stay tuned for more details! !